New drivers have to face the reality that every time they get behind the wheel, the risk of being in an accident is lurking. Car crashes can result from many situations, including speeding, drugs and alcohol, calling or texting, fatigue, or not paying attention. Sometimes accidents are entirely caused by someone else. The thought of a car accident is very disturbing, but taking precautions will help you avoid them. Let's go over some simple best practices for being on the road, how to avoid an accident--and what to do if you're in one. And ensure your passengers do the same. Ensure that you don't move the car until all your passengers have buckled up. It can save their lives. The effectiveness of seat belts has been argued by researchers over the years, but still, accident cases have shown that using seat belts significantly reduce the risk of being fatally injured. You can be James Bond later. Speeding is one of the leading causes of accidents among new drivers. The faster you are driving when you hit an object, the greater the impact and the greater the damage done. Rather than race around trying to "make up" time on the road, plan ahead and give yourself enough time to get where you're going safely, without speeding. It's safer, and you'll save money on traffic tickets and car insurance. Also remember to avoid following too close. It takes a significant distance to stop a car from 50 km/h. In fact it takes 14 meters to stop while driving on that speed. Stay far enough so that you can stop safely without striking the vehicle in front. That goes for the distance between you and the car in front at stop signs and lights. A safe following distance is just as important, if not more important, than keeping a safe speed. After all, you could be going 120mph but as long as there is enough space between you and other vehicles, you'll never hit anyone. 3. Your hands are for driving, not for texting. 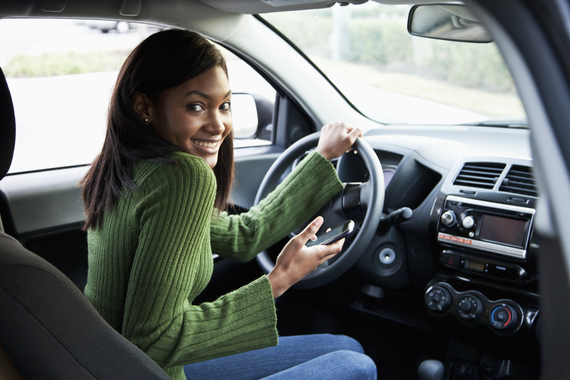 In a recent online poll of 16-19 year olds, over 50% admitted that they text while driving. The numbers already show that even talking on a cell phone will increase the chances of getting into an accident, and that's when your eyes are actually on the road! When you text, your eyes aren't fully watching the road. Those few precious seconds back and forth can be the difference between life and death. If you don't think you'll be able to resist answering or checking your phone while driving, a good rule of thumb is to put it somewhere in the car where you absolutely can't get to it while you're driving, like the very back. Yes, your friends may have to wait a few extra minutes to get a reply from you, but at least you won't be causing accidents or getting hurt. There's no text message or phone call that can't wait until you're off the road. Anything that takes a driver's attention from the road is a distraction, and distractions can be dangerous. This also includes eating or drinking. Putting on your makeup, changing the radio station, friends wrestling in the back seat. All these things can lead to you losing focus and taking your eyes off the road. Avoiding accidents often require a split-second decision to brake or swerve, so eliminating distractions is vital to increase your odds. For new drivers, it is recommended to limit passengers to Parents or Instructors for the first year. Driving under the influence (DUI) is completely not worth it. 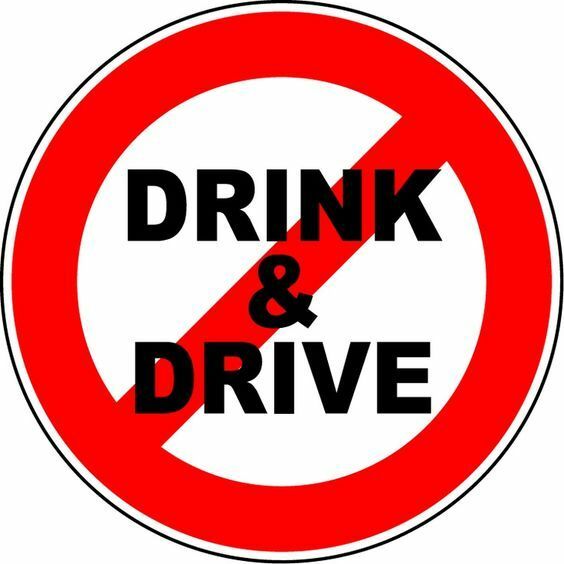 National Highway Traffic Safety Administration alcohol-related crashes cause approximately $37 billion in damages annually. Before you indulge, think about the importance of your life first. Don't drink and drive, and don't ride with anyone who has been drinking. It doesn't matter if you think you can pull it off. Chances are, you can't and you're most likely to get into a crash. Call parents or other, non-drunk friends to take you home if you need a ride. Similarly, don't drive or ride with anyone who has been doing drugs. This can include over-the-counter drugs, depending on how drowsy they can make you. 5. Adjust all accessories before you pull out into traffic. This includes the mirrors, seat, and stereo. Secure loose objects in the vehicle. If you had to make an unexpected stop you don't want you or a passenger to get hit in the head with a backpack or an umbrella. Remember back when cars didn't even have cup holders? Maybe you do? You don't? Neither do I. But at one time, cars were just cars. These days, cars have on-board computers, GPS systems, satellite radios, video players, and even flat screen televisions. From people driving pets around to screaming kids in the back seat and stuff we can't really talk about on this site, distractions are enormous. You don't need that text book hurling at the back of your head when you hit a bump. Secure all loose items. Now despite following all these tips religiously, accidents can still happen. It could be caused by your error or another driver on the road. And although accidents are a frightening and emotional situation, try and remember the steps below. •	Immediately call 911 if anyone is injured. If everyone's okay, assess the scene. •	If possible, do not move any cars until photos have been taken. •	Call your car accident attorney and insurance agent. •	Get information from the other driver(s), including their name, address, phone number, license plate, and their insurance carrier. •	Take photos with your phone or your passenger's phone. Be sure to get pictures of the position of the cars, the damage, and anything else that's relevant. This can later help to prove how the crash happened. •	Get the names and numbers of any witnesses to the accident. •	Write down a note for yourself, or make a voice memo for yourself while the details of the accident are fresh in your mind. This can help with questioning later. Before you get into the car, be sure to adhere to these safety tips. Understand that your life is important, likewise that of others in your car and on the road. These precautions can help you avoid common accident injuries, and generally make you aware of the activities of other drivers on the road with you.